Tashkent, the southernmost metropolis of millions in the Soviet Union, is a city redolent with architectural contrasts and paradoxes. Never was this contrast brought into sharper focus than during the severe earthquake of 1966, which left the New City relatively unscathed but reduced the oriental Old City to ash and rubble. Tashkent was already a city of contrasts: narrow winding alleyways, mosques, madrassahs and buildings made of clay in the established Old City, stood in contrast to an orderly New City featuring wide boulevards. Yet one respite was offered: a rebuilding effort that triggered an upsurge of architectural innovation. 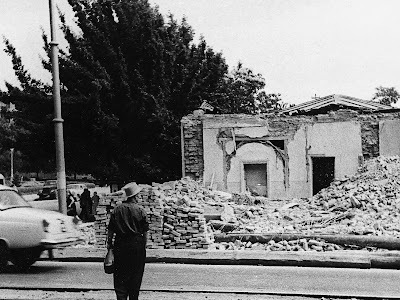 The city thus became the face of seismic modernism – unprecedented in history, the earthquake stimulated the modernisation of urban development in Tashkent. In this excellent, new publication, Seismic Modernism, architect Philipp Meuser describes the reconstruction efforts that triggered an astonishing wave of innovation and forced the modernisation of the city. Although the industrialisation of Tashkent and thus the immigration of workers was already in full swing, this urban trend was intensified. Urban planners could now implement on a large scale their remodelling plans for the roughly 300,000 homeless people. Twenty different design institutes and building collectives from across the USSR contributed to the reconstruction effort. 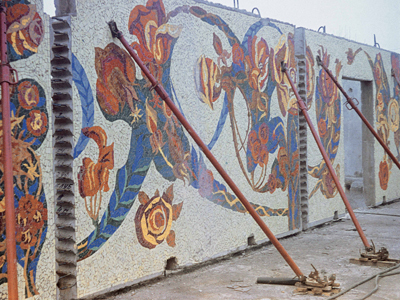 The architects integrated regional construction traditions into their modern socialist designs - an unprecedented phenomenon which is illustrated most clearly on the facade mosaics by the Zharsky brothers. 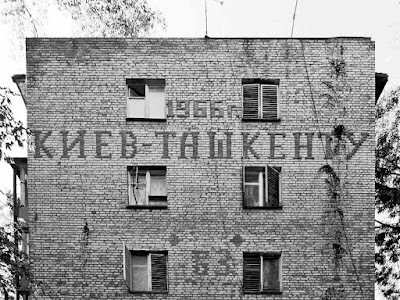 According to Meuser "The rebuilding of Tashkent provides a perfect example of Soviet ideas about urban planning – in which technical standardisation and social requirements were no more of a contradiction than the design of experimental living concepts and the simultaneous search for an expression of national identity in building. 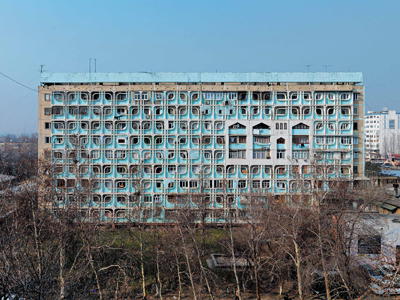 Tashkent thus represents a unique example of radical urban redevelopment in a Soviet megacity with standard designs". Meuser advocates an appraisal and reassessment of prefabricated construction. Today, fifty years after the earthquake, he regards Tashkent as the home of the most beautiful prefabricated buildings in the world. Readers familiar with Tashkent and interested in Soviet Central Asian architecture will enjoy this book immensely. The book's style is clear and accessible. 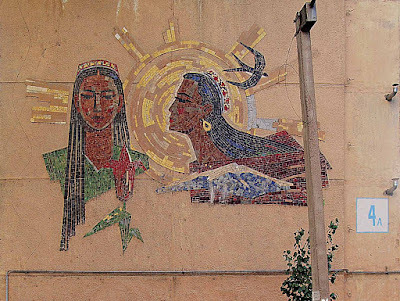 There are over 300 images, including rare, original facade designs by the Zharksy brothers, unrealised project plans plus before and after photographs of Tashkent districts. Order your copy directly from DOM publishers.